Where a lot of horror filmmakers favored gore and guts, Wes Craven favored messing with the horror fan’s mind above all else. Sure, there was plenty of blood to go around in his films, but it was always in service of his unique brand of horror psychology. When A Nightmare of Elm Street was released in 1984, audiences had never seen anything like it before. It was a frighteningly original concept for the genre, borne from the mind of a man who knew how to play with his audience better than anyone. When the film was over and the credits had rolled, teens wandered home from the movie theater with only one thought on their minds: DON’T FALL ASLEEP. 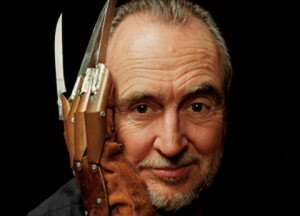 10 years later, following a string of less than worthy sequels, Wes returned to the Nightmare franchise with New Nightmare, a meta commentary on the horror film that allowed audiences to peek behind his filmmaking curtain and see Wes play himself on-screen alongside Robert Englund, playing double duty as both himself and Freddy Krueger, as well as the original film’s star Heather Langenkamp. The film not only once again highlighted what Wes brought to the horror genre, but gave the genre as a whole a clever spin that would prove to be the perfect tease for his next horror franchise. The horror genre had seemingly reached its breaking point by the mid-90s. After the iconic slasher films of the 80s had spawned countless uninspiring sequels and eventually died out, a fear had begun running rampant all across the film industry that the genre may be on its last legs. Who could they possibly find to scare audiences once again? In late 1996, Scream was released upon unsuspecting audiences and a new horror franchise was born. Deftly balancing the laughs of a broad comedy with the thrills of a horror slasher, Wes Craven proved that the horror genre had plenty of life left in it. He would go on to direct three Scream sequels, the last of which, Scream 4, now serving as the punctuation to his incredible filmmaking career. What would the horror genre be without Wes Craven? It would be less inventive, less original, and perhaps most importantly, less scary. We wouldn’t have Freddy Krueger, we wouldn’t have Ghostface, and the hills wouldn’t have eyes. Fortunately, the horror genre had Wes. And so did we.